Of King Alfred School, Plön. 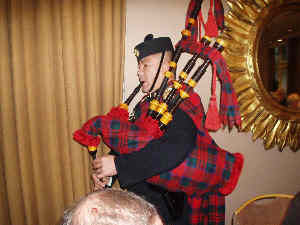 Small meetings and parties are held in various places around the world from time to time. Join the Discussions area for more details. The next major annual reunion lunch is to be on Saturday 12th January 2019 at the usual hotel, whose name now is: "the Radisson Blu Edwardian Bloomsbury Street Hotel" (but we knew it as The Marlborough). More details appear in the Events section in the discussion area. Mini-reunions and parties for the forthcoming year and plans for the next major-reunion are discussed in the discussion area of this website. Official announcements of Re-Unions which used to appear in the personal column of the Daily Telegraph on the first Saturday of December will no longer occur having been replaced by announcements on this web-site. Started in 1949 by a few staff and pupils meeting at the Ivanhoe Hotel in London for a meal. The Wyvern Club has carried on to the present-day with reunions every 1st Saturday (approx) of the year. The actual date, location and contact details are announced on this website, in the discussion area and in the yellow panel on the right hand side of this page. All former pupils, staff, parents, children and friends of King Alfred School, Plön are considered to be members of the Wyvern Club. Reunions have been held at a London hotel every year since 1949, usually at the Kenilworth Hotel or Marlborough Hotel (Radisson) in Bloomsbury, one of which used to be the "Ivanhoe". The reunions start with a luncheon and brief after-dinner speeches giving news of happenings since the previous Wyvern reunion. We have included some lists of attendees of the re-unions below, mainly so that 'lost' ex-members of the School will find this pages if they search for former friends' names. A comprehensive list and addresses of ex-pupils and staff has been compiled. This is produced as a booklet of addresses made available to anyone attending. With former pupils now spread all over the world there is always a friendly face not to far away where ever you are in the world. Of course, there is effectively an on-line re-union going on all the time in the private area of this website. Opened in March 2000 our discussion forum now has over 136,000 messages posted on it; some nostalgic, some of great merit, many just for fun. It's an active website, those figures indicate an average of 21 messages posted every day over the past 15 years; indeed it's a very unusual day indeed if no messages are posted. Our time at the school was long ago, and often ex-pupils do not recall much of their time there, but on joining the discussions, many new friends are made because of our common heritage and this in turn brings back old memories. To view the messages and later join in the discussions, click the DISCUSSIONS button in the left hand column. To celebrate the 40th anniversary of the school opening, there was a weekend trip back to Plön in May 1988. This was a great success made possible by the reception given to us by the Commandant of M.U.S the German Navy establishment, which now uses the premises. The trip ending with a boat trip on the Lakes after a champagne reception at the Schloss given by the authorities of Stadt Plön. A KAS team of mostly children and grandchildren of former KAS pupils took part in the Plön Dragon Boat Races in August 2013 and the team did very well indeed. A KAS team will take part in this year's dragon boat races too. 2018 is the 70th anniversary year of the opening of the school. A less formal visit will be made to M.U.S in May 2018. 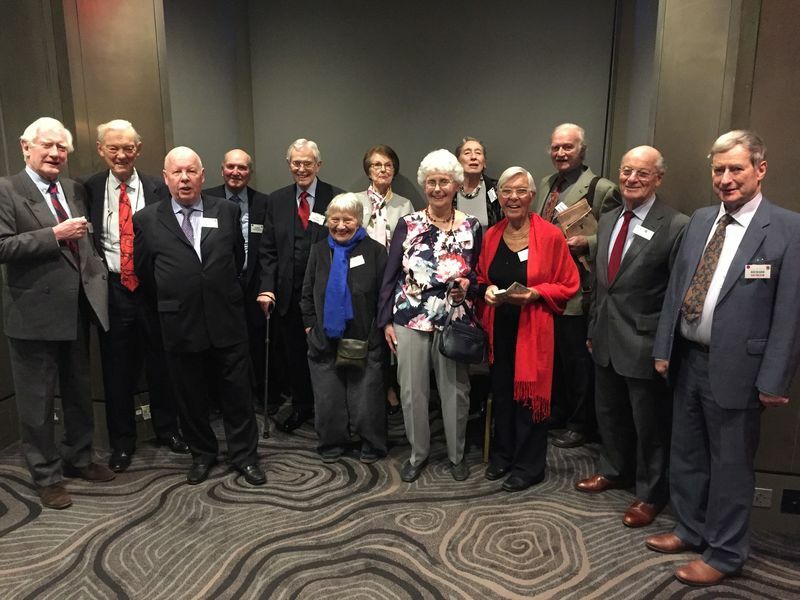 This was an extra special reunion (the 70th anniversay of the founding of the school) it took place on the 13th Jan 2018 at the usual hotel in Bloomsbury; Details can be seen in the Discussion area. Typical view over the dining tables. The following were due to attend but had to cancel. Another fine reunion took place on the 7th Jan 2017 at the usual hotel in Bloomsbury; Details can be seen in the Discussion area. 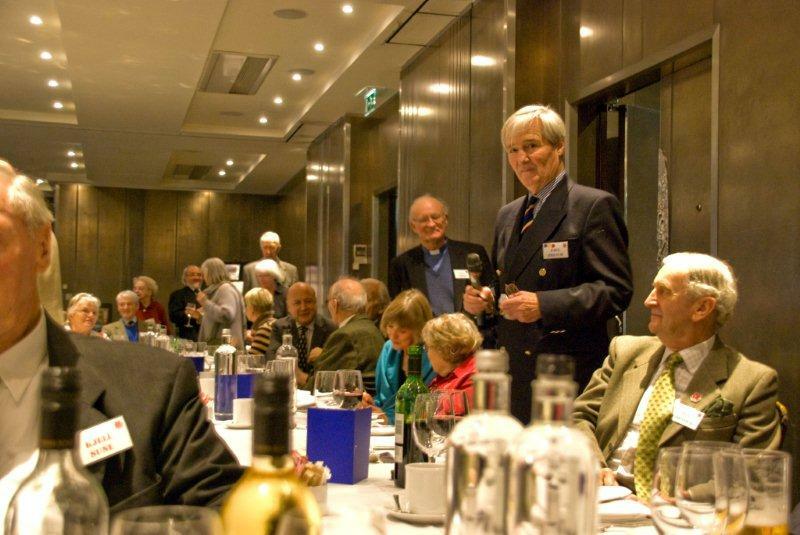 Another fine reunion took place on the 9th Jan 2016 at the usual hotel in Bloomsbury; Details can be seen in the Discussion area. 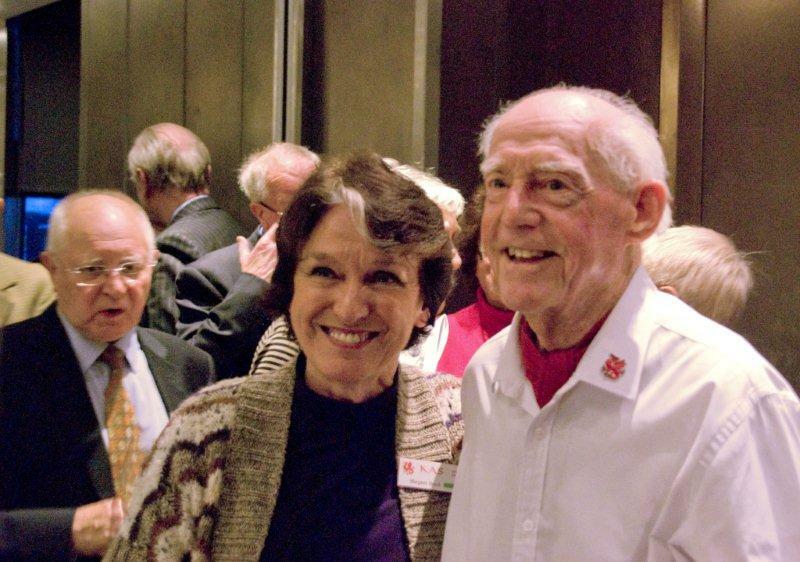 Another fine reunion took place on the 10th Jan 2015 at the usual hotel in Bloomsbury; Details can be seen in the Discussion area. Another fine reunion took place on the 11th Jan 2014 at the usual hotel in Bloomsbury; Details can be seen in the Discussion area. 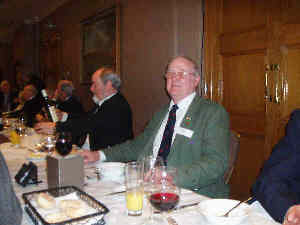 Another fine reunion took place on the 5th Jan 2013 at the usual hotel in Bloomsbury; the first under the chairmanship of Paul French. There were 103 attendees. Attendees names are given as at KAS, because that is what old pupils are likely to search for, followed by current name or married name. 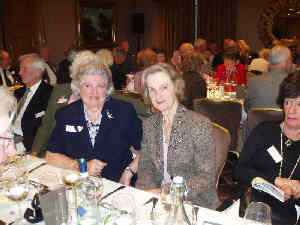 Another great annual reunion lunch on Saturday, January 7th, 2012 in Bloomsbury London. More details, photos and a brief video appear in the private discussion area of this website. And the following came along informally in the afternoon. 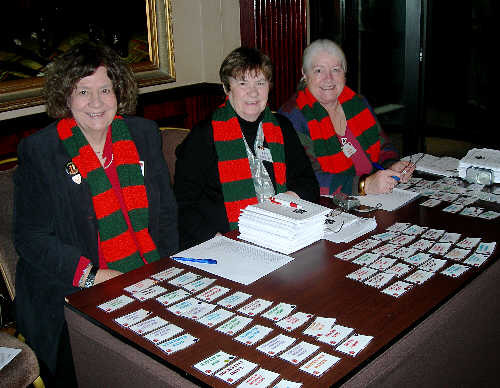 This year it wasn't the snow that kept some members from attending, instead it was bouts of minor flu or colds. Nontheless we had another great annual reunion lunch on Saturday, January 8th, 2011 in Bloomsbury London. 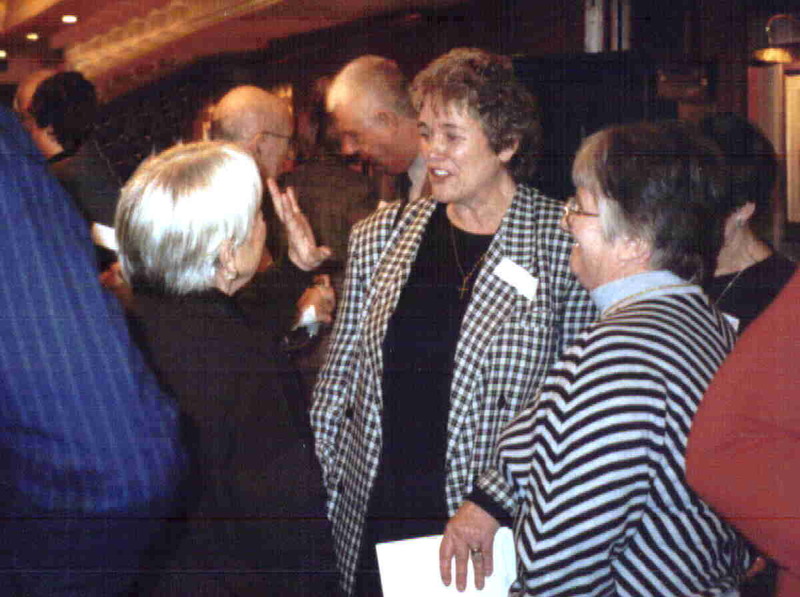 WESTOVER Janet née MACKLIN, R.
We all had a great re-union. Numbers were down as around 40 of our original 141 bookings had to cancel, but those who made it enjoyed themselves. An excellent menu, well cooked with an emotional blessing from Rev Paul Abram including short silence for those those no longer with us. After dinner, speeches were kept to a minimum, but we had an enthralling speech by John Lowe on the events that led to him becoming a teacher at King Alfred School, Plon. The meeting broke up rather earlier than usual due to worries about getting home, but all in all an excellent meeting and my commiserations to those who stayed snowed in at home. 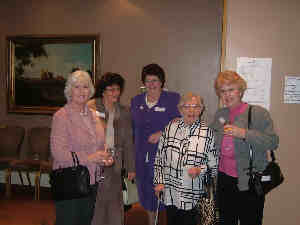 More details appear in the discussion area..
Another splendid re-union with lots of people attending. Joined us in the afternoon. Regrets from those who were not able to get there. Another splendid re-union with 112 people attending. Joining us for the first time this year was Dundee, the Hearing Assistance Dog of Taffy Williams. Alas, June Fisher one of the former staff of the school and the person who has been the principal organizer of the annual re-unions over most of the last 50 years, died unexpectedly of natural causes on 9th November 2006. Giving thanks that "Auntie June" had kept us all together over these years, other Wyverns volunteered to take over the final preparations and the Wyvern re-union lunch went ahead as planned on Saturday 6th January 2007. Around 130 Wyverns were present to give thanks to June's memory and to get on and have a good time as she would have wanted it. 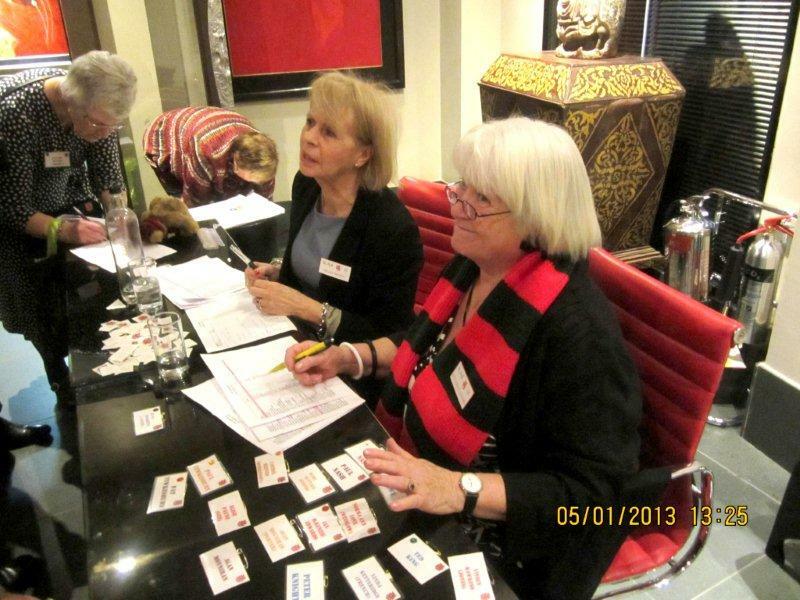 Photos and a video taken at the event are accessible from the pages of our private discussion area. Click the [DISCUSSIONS] button in the left column. SCULLARD Ann nee JONES, . We include the full list in this year, so that lost Wyverns, who happen to search the Internet for the names of their school friends have a fighting chance of finding this website and re-joining us. 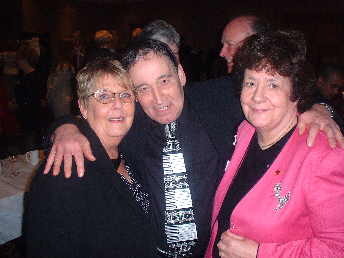 Much more detail of this re-union is available in the Discussion area of this web-site. The 53nd Wyvern Club Re-union Lunch was held on Saturday 8th Jan 2005 at the Marlborough Hotel, 9-13 Bloomsbury Street, London WC1B 3QD. 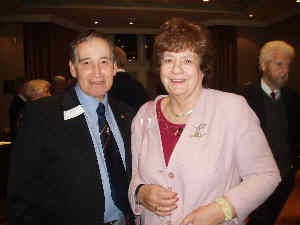 This was another large re-union, with around 124 persons present. Once more many of these had never been to a Wyvern re-union before and had found out about them as a result of visiting this web-site. Much more detail is available in the Discussion area of this web-site. 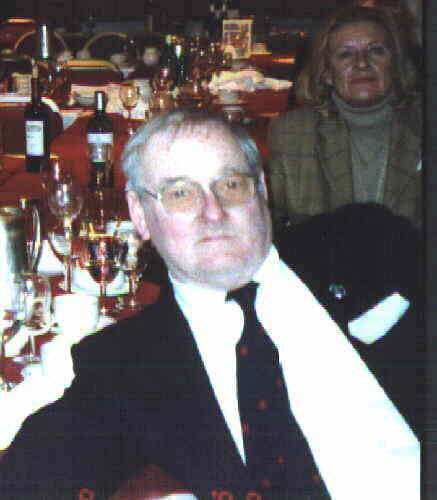 The 52nd Wyvern Club Re-union Lunch was held on Saturday 3rd Jan 2004 at the Marlborough Hotel, 9-13 Bloomsbury Street, London WC1B 3QD. This was a splendid re-union, with around 97 persons present. Around 10 of these had never been to a Wyvern re-union before and had found out about them as a result of visiting this web-site. More details are available in the Discussion area of this web-site and this [link] displays more photos of the event. 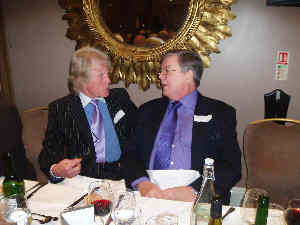 The 51st Wyvern Club Re-union Lunch was held on Saturday 4th Jan 2003 at the Marlborough Hotel, 9-13 Bloomsbury Street, London WC1B 3QD. This was a great re-union, with around 105 persons present. More details and photos are/will be available in the Discussion area of this web-site. 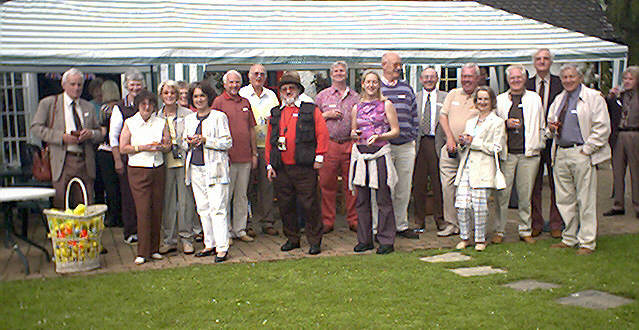 A summer party was held on 8th June 2002 at Brian Harper's house. More details are in the Events section of the discussion board. 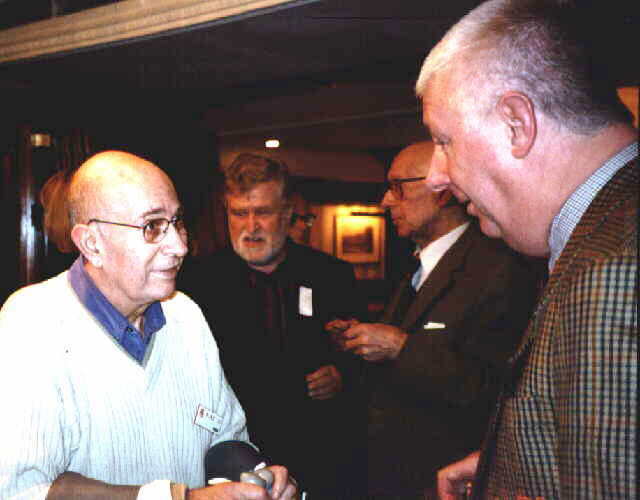 The 50th Wyvern Club Re-union Lunch was held on Saturday 5th Jan 2002 at the Marlborough Hotel, 9-13 Bloomsbury Street, London WC1B 3QD. This was possibly the biggest re-union yet, with a total of 125 persons present. More details and photos are available in the Discussion area of this web-site. A summer party was held on 16th June 2001 at Brian Harper's house. More details are in the Events section of the discussion board. 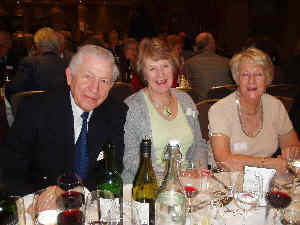 The 2001 Annual Reunion Lunch was held on Saturday January 6th 2001 at the Marlborough Hotel, 9-13 Bloomsbury Street, London WC1B 3QD. Many thanks to June Fisher (nee Law) for organising it..
(move your mouse slowly over the picture to reveal six different views, then click down for more detail. If this doesn't work for you click here). 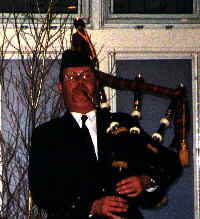 (formerly of the Scotts Guards). 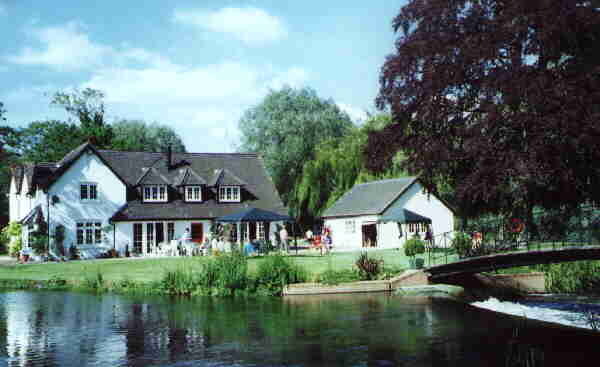 The Year 2000 reunion was held at the Kenilworth Hotel in Bloomsbury on the 8th January 2000. At that meeting it was resolved that the next meeting would remain as the FIRST saturday in 2001, but subsequent meetings may be held later in January. Click each picture for more detail. This web site is the latest venture of the Wyvern Club, and contains a discussion board in which former Pupils, Staff and Friends of KAS can keep in touch and exchange views throughout the entire year.